1.Each box is a separate package. PE bag + Bubble bag + Inner box + Outer Carton, to make sure safely transport. 2.The production label, posted in the side of each carton. (the lable including production information and QR code). 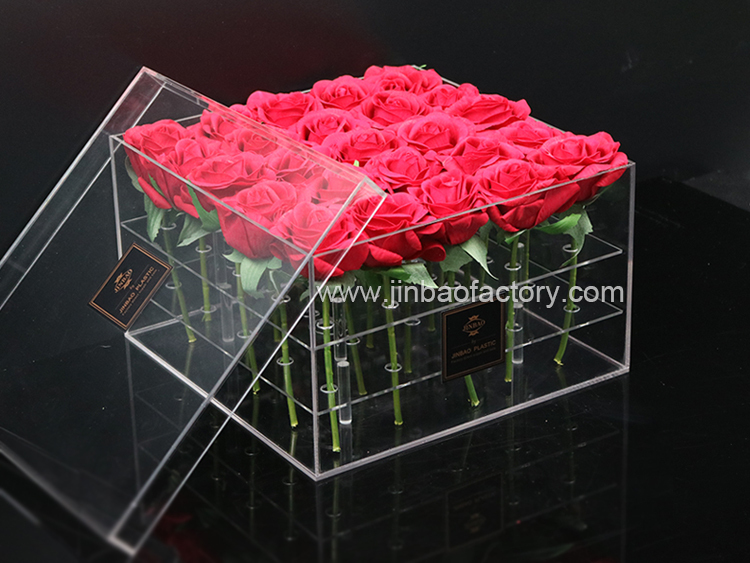 3.Outer box use 5 layer corrugated boxes, with high press and shock resistance, to make sure not damage in the transportation. 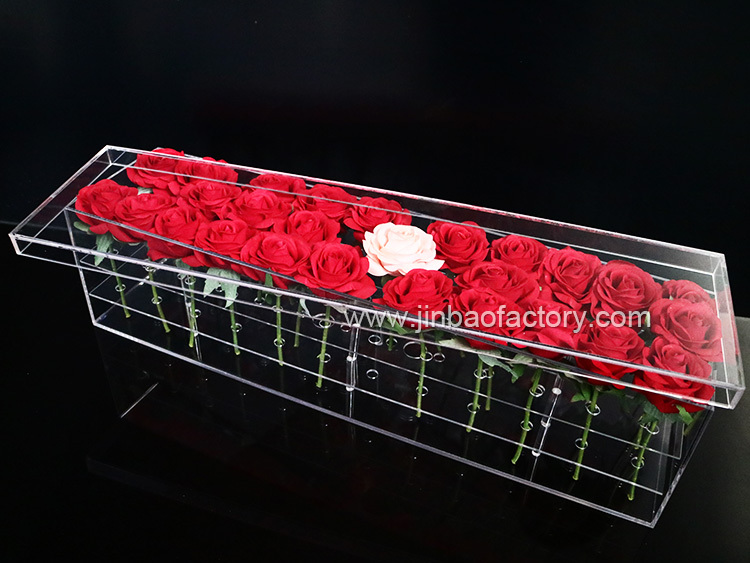 Acrylic is generally considered the perfect material for these trays. 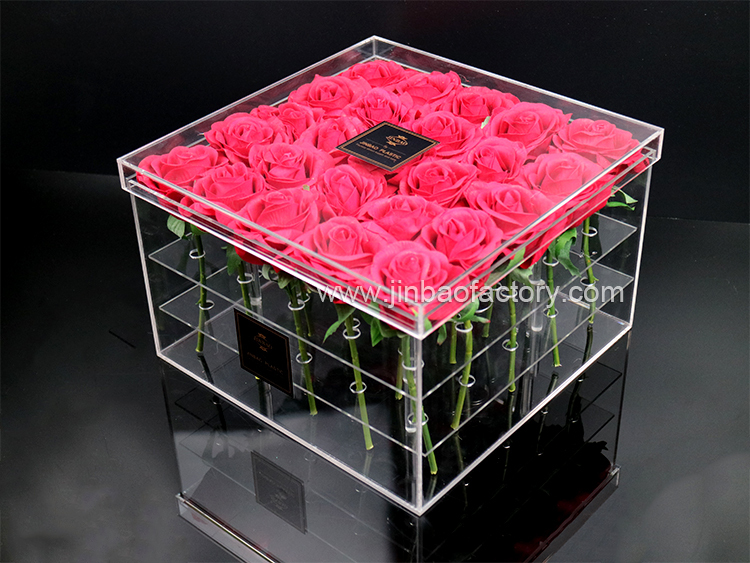 It allows users to enjoy a clear, glass-like tray with very little risk of breakage. This material is made from a methyl methacrylate polymer, which is a form of composite resin made in laboratories. It may also be referred to as Plexiglass® or Lucite® after some popular brand-name versions of this material. 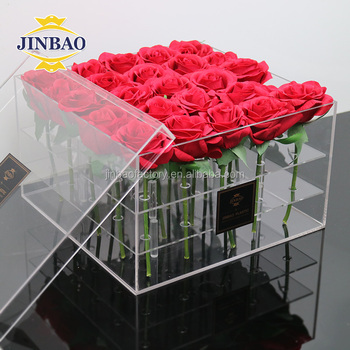 Jinan jinbao Plastic Co., Ltd is always committed to designing and processing kinds of acrylic products. 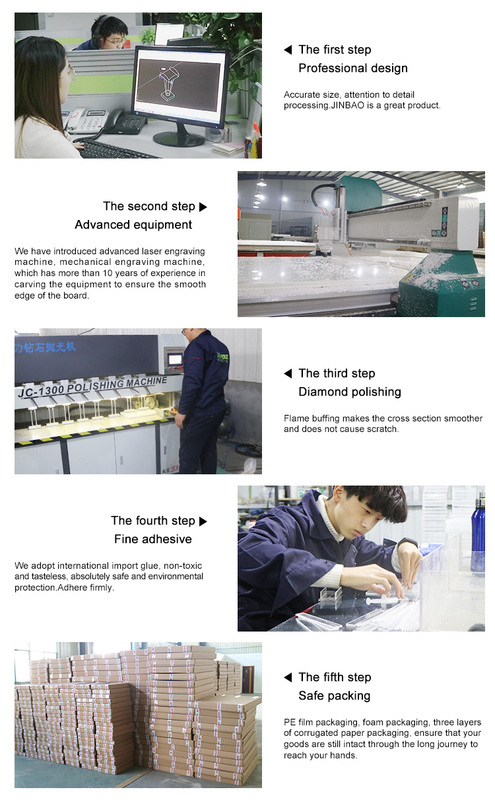 We have many sophisticated machine .Also there are lots of advance techniques .As a successful factory ,we have a variety of products. 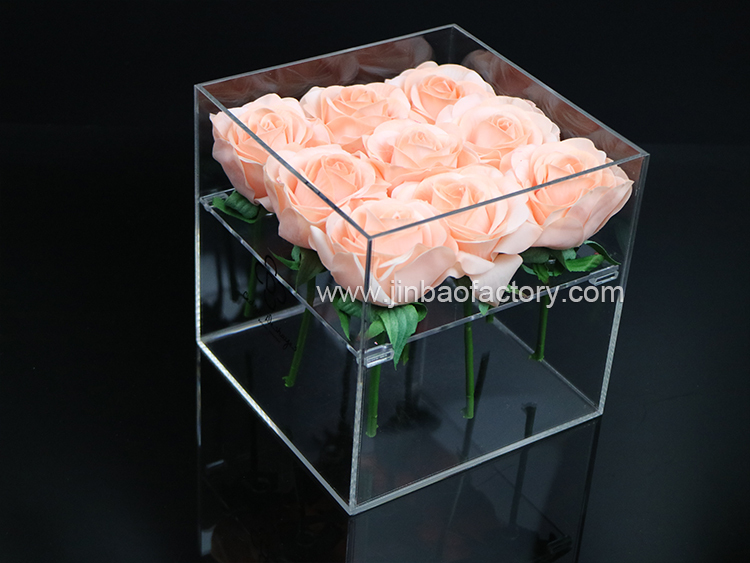 Over the years, our factory adhering to the concept about surviving on quality and developing on innovation .the reason of we enjoying great reputation at china and oversea market is because of the commodity of high quality ,and can not do without innovation in services. It made our goods popular with Europe and America ‘s market that we have abundant technical strength. 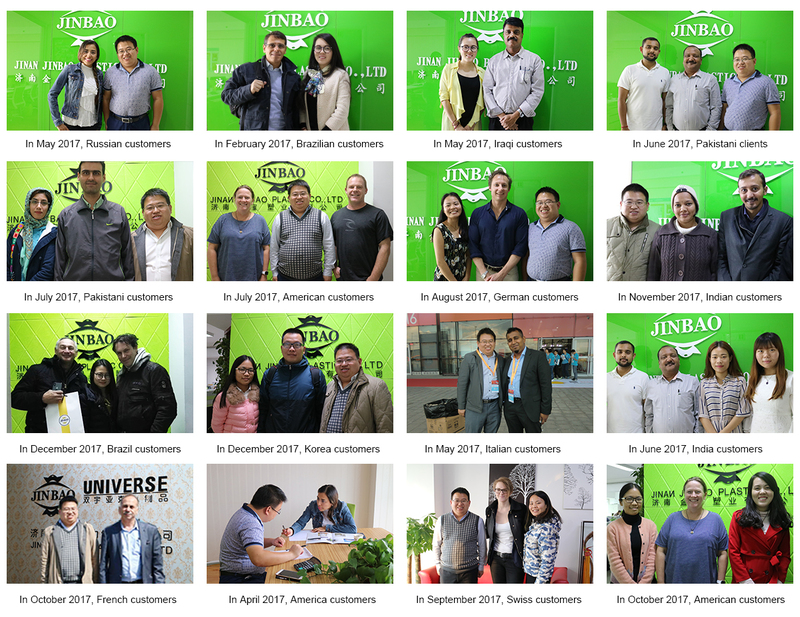 .the same time ,high quality talent make us trusted by North American's and European partners.Welcome to Jinan Jinbao Plastic Co., Ltd to ordering goods. 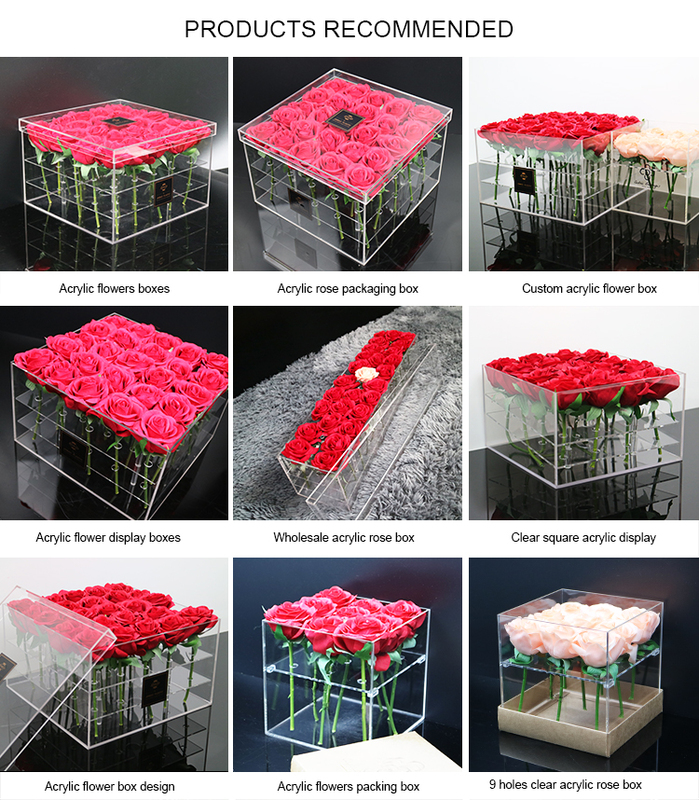 Our factory has professionally manufactured acrylic display products . Our factory employ more than 300 people and utilize over 40 production machines. We have used our technical expertise and manufacturing capabilities to improve our processes and products continuously. 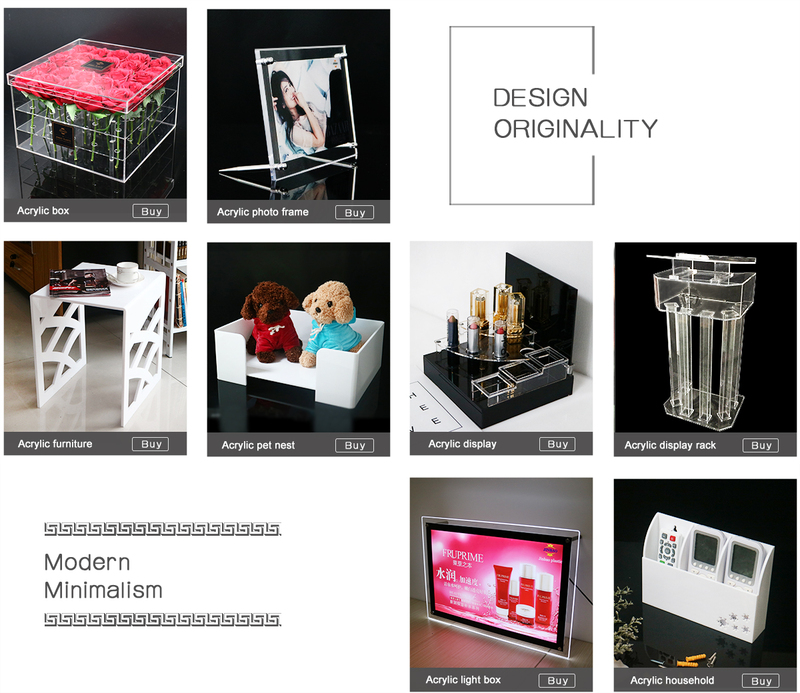 Professional R&D team, provide OEM service, able to design and customize products according to your needs. We always in line with the "worship Industry, realistic and innovative "business philosophy, adhere to the tenet of" quality reputation first ", constantly perfect pursuit and development. We offer the best service for the enterprise and business all over the world . 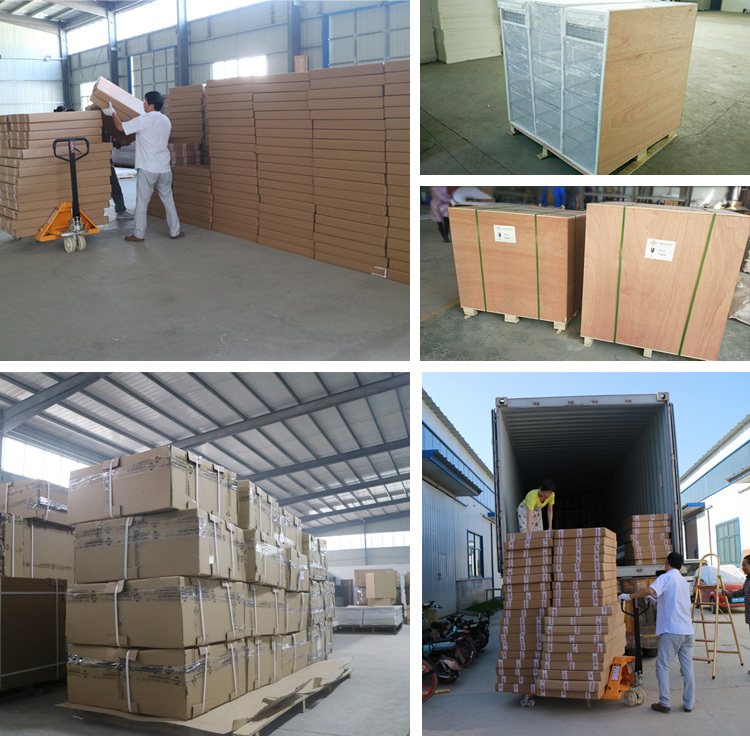 standard export packing :PE bag/bubble bag/OPP bag + inner box + outer carton. 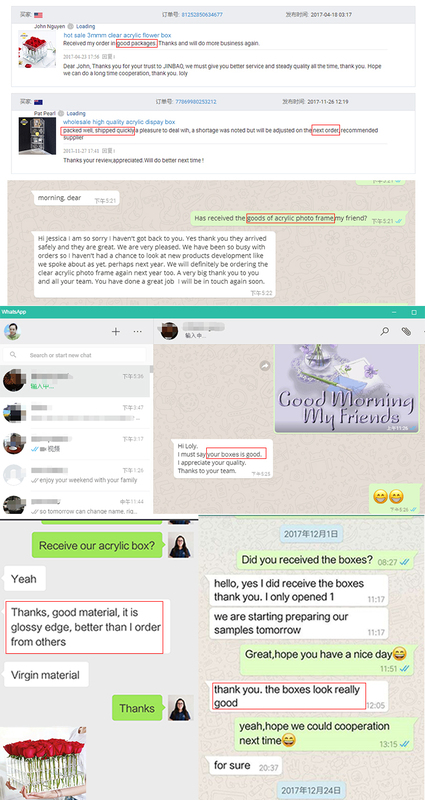 The customer receives the feedback of the goods, chooses the treasure choice to rest assured!